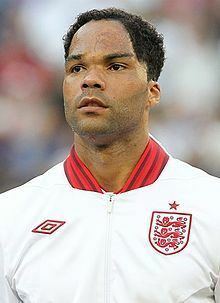 Joleon Patrick Lescott (born 16 August 1982) is an English professional footballer. He plays as a centre back, though he has played in various other positions across the defensive line, including left back. Born in Birmingham, Lescott is a graduate of the Wolverhampton Wanderers youth academy. He made his first team debut with Wolves in 2000 and he was named the supporters' Young Player of the Year two years running. He was a regular player as the club won promotion to Premier League in 2003, but missed the whole season through injury and they were relegated. He was named in the Championship team of the year for the 2005–06 season, and subsequently moved to Premier League club Everton for a total of £5 million in August 2006. He was voted player's Player of the Season by his teammates in the following two seasons. Lescott moved to Manchester City in August 2009 for a reported £22 million and spent five seasons at the club, winning two league titles, an FA Cup and a League Cup. After his release in 2014, he joined West Bromwich Albion on a free transfer and Aston Villa a year later. 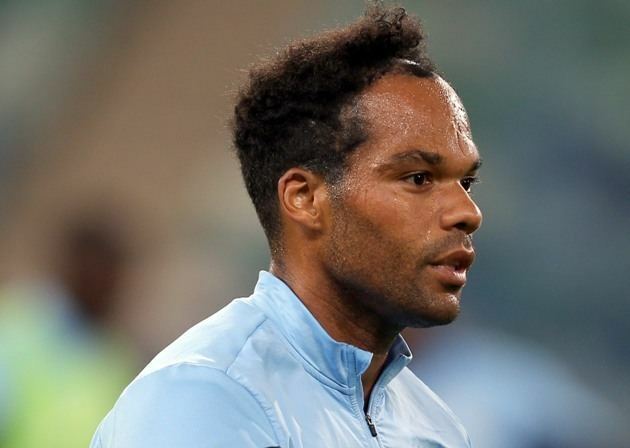 Internationally, Lescott represented England at various youth levels before making his first team debut in 2007 against Estonia in the UEFA Euro 2008 qualifiers. He represented the country at UEFA Euro 2012, scoring England's first goal of the tournament in their opening match, a 1–1 draw against France. Lescott was born in Birmingham, West Midlands. He grew up in the Quinton area of the city, where he attended the Four Dwellings High School. 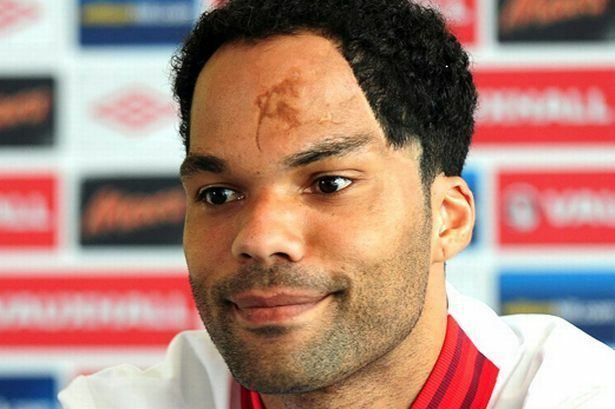 When he was five years old, Lescott was struck by a car outside his primary school, suffering severe head injuries leaving scarring on his forehead and hairline. His first-team debut for Wolverhampton Wanderers came as a 17-year-old in the 2000–01 season against Sheffield Wednesday at Molineux on 13 August 2000. At the end of his first season, Lescott was named the Supporters' Young Player of the Year by the Wolves' fans; an award he also won in the subsequent 2001–02 season. Lescott started to become a regular fixture in the Wolves' team. During the 2002–03 season he missed only one league match and played in each of the club's FA Cup fixtures. He was also a member of the team that defeated Sheffield United 3–0 at the Millennium Stadium to win promotion to the Premier League for the 2003–04 season. In October 2005, Lescott agreed a two-and-a-half-year extension to his contract at Wolves. At the conclusion of the 2005–06 season, he was named in the Championship team of the season, voted for by his fellow professionals, and also picked up the Wolves' Player of the Year award. Lescott was sold to Everton at the start of the 2006–07 season for an immediate payment of £2 million, followed by a further £2 million paid in instalments and a final £1 million contingent on appearances. The transfer was slightly delayed as Everton asked for extra medical checks to be taken on Lescott's knee following the reconstruction of the joint earlier in his career. Lescott made his Everton debut in August 2006 during a victory over Watford and his first start of the season away to Tottenham Hotspur, after Alan Stubbs injured his groin in the previous match against Blackburn Rovers. The match was Everton's first victory at White Hart Lane in two decades, and Lescott was named man of the match. Lescott started again in the next match, the 204th Merseyside derby, a 3–0 victory for Everton. Lescott's first Everton goal came in a 1–1 draw against Aston Villa at Villa Park on 2 April 2007. Lescott was voted the Players' Player of the Season 2006–07 by his teammates. He also finished a very close second behind Mikel Arteta in the fans Player of the Season. On 8 May 2008, at the end of season awards, Lescott was voted Everton's Player of the Year and Players Player of the Year. Prior to the final home match of the season against Newcastle, on 11 May 2008, Lescott was also awarded the Player of the Year award by the Everton Disabled Supporters Association. The EDSA labelled Lescott "Mr Consistency" for his performances over the 2007–08 season. He is also only the second Everton player to have ever been awarded the honour twice. On 25 January 2009, Lescott scored Everton's only goal – a close-range header – in the FA Cup 4th Round meeting with Liverpool. The match ended as a 1–1 draw, but Everton went through by scoring the replay's only goal in extra-time on 4 February. Lescott later played in the FA Cup final for Everton on 30 May, resulting in a 2–1 defeat to Chelsea. On 28 December 2010, Lescott scored a header, City's first of the season, in the 4–0 victory over Aston Villa at the City of Manchester Stadium, but during the January 2011 transfer window, with Lescott making few first team appearances during the first half of the 2010–11 season, there was speculation that he would be moving back to Wolverhampton Wanderers on loan, Roberto Mancini however continually insisted that Lescott was a part of his plans. In February 2011, Kolo Touré was suspended for failing a drug test, this would represent a huge opportunity for Lescott who was reinstalled as the partner of Kompany in central defence. Lescott went from strength to strength as the two formed a formidable defensive partnership. On 17 April 2011, he started and played the full 90 minutes against Manchester United in the 1–0 FA Cup semi-final victory at Wembley Stadium as City reached their first major-final since 1981. On 25 April, eight days after that win over their rivals, Lescott partnered Kompany again in an important match against Blackburn Rovers at Ewood Park and completing the full 90 minutes in a 1–0 win, also making his 30th appearance of the season for City in the process. Lescott was part of the Manchester City team that won the FA Cup, beating Stoke City 1–0 in the final at Wembley and ending a 35-year wait for a major trophy in the process. He would also score two more headers in the final two matches of the season, in a 3–0 win against Stoke City three days later and also against Bolton Wanderers in a 2–0 win, as City ended the season in third position and qualified for the UEFA Champions League for the first time. On 7 August 2011, in the 2011 FA Community Shield, Lescott scored in a 2–3 loss against Manchester United; this would prove to be City's last defeat on English soil until a 2–1 defeat by Chelsea on 12 December. During this time, Lescott firmly established himself as a vital part of the team in defence as City recorded 1–5 and 1–6 away victories over Tottenham and Manchester United respectively, in which Lescott started both and assisted a goal in the victory over United. Lescott scored an own-goal in a 1–1 draw with Liverpool at Anfield in November but continued to show strong form throughout the season. 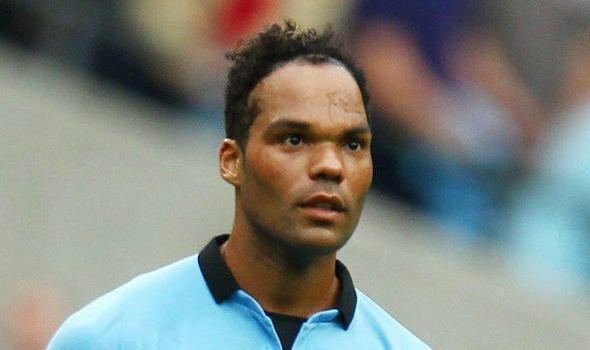 Lescott also made his Champions League debut against Napoli, though City failed to progress past the group stages. On 22 January 2012, he scored a goal in a 3–2 win against Tottenham, giving City a 2–0 lead at the time. 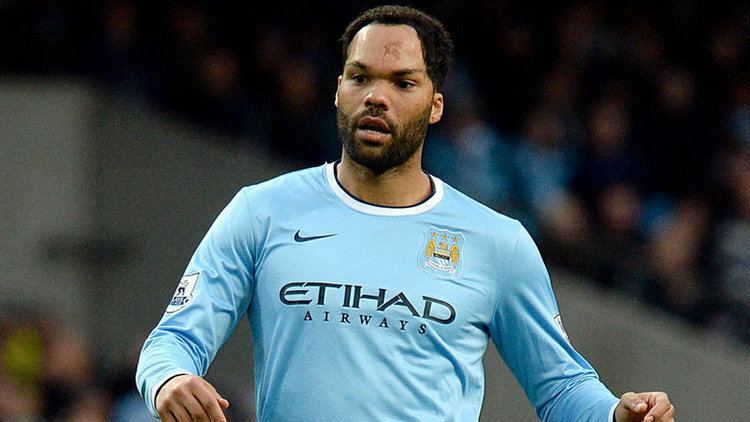 In 2014, Joleon Lescott was reportedly offered the chance to leave Manchester City with clubs such as West Ham being linked as prospective destinations, and a deal being agreed at one point. However, Lescott turned down a move to "win trophies" before seeing what happened at the end of the season. Lescott fulfilled his wishes, winning the League Cup and the 2013–14 Premier League. 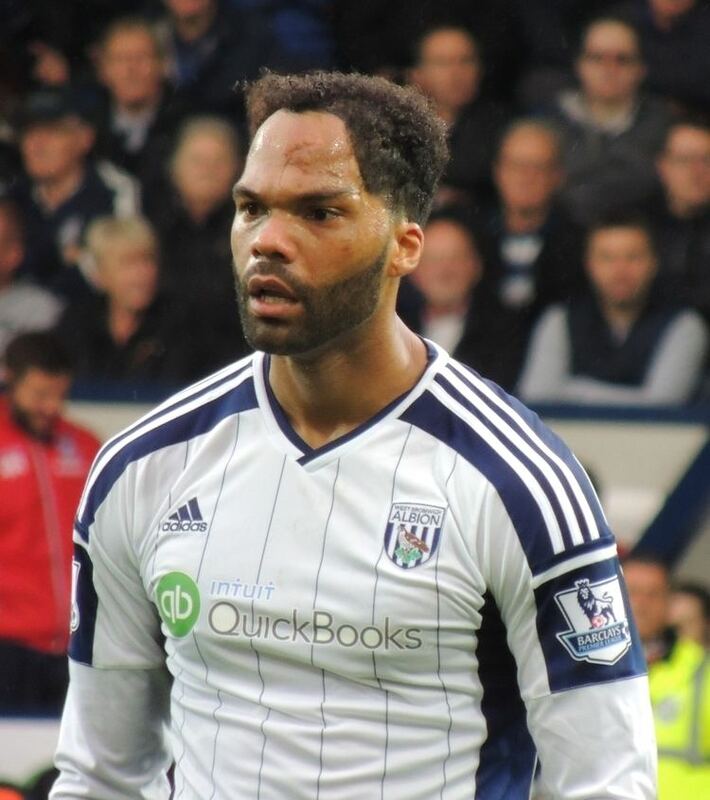 In April 2016, Lescott again angered fans with controversial comments following the club's confirmed relegation to the Championship after losing to Manchester United. He described the relegation as "a weight off the shoulders" and that they "can give these fans what they deserve – some performances".He was also heavily criticised by former Villa players Stan Collymore and Paul McGrath for the remarks.